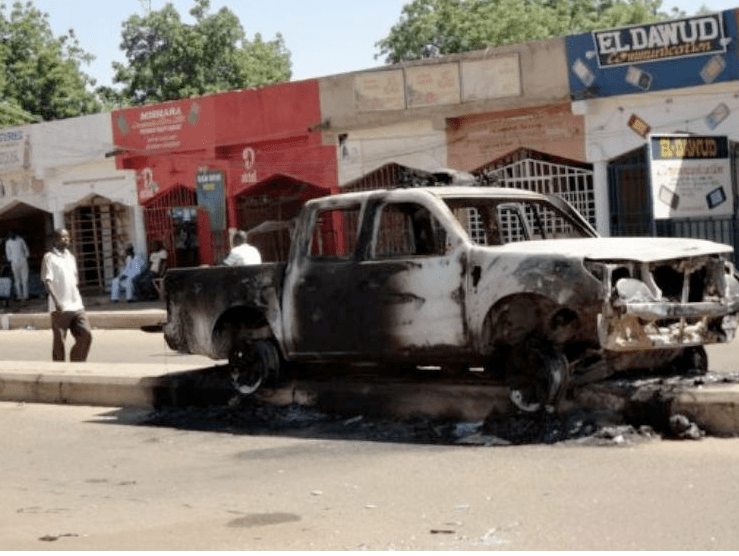 Statement emerging from the police in Yobe State has confirmed that sporadic gunshots and explosions once again erupted in Damaturu, capital of Yobe State on Friday. The city is fast becoming a shadow of its old self with reports emerging from that part of the country confirming the steady exit of Christians from the city. Research by Thisday news has revealed that in Potiskum, for instance, out of the about forty churches, twenty-one (21) have been burnt. And residents in the city have confirmed that Christians have continued to leave the town in droves. When can we breathe peace in Yobe State? Just as 21 churches hv been burnt,infidels hv burnt d churches,true Christians don’t fight,for our weapons of war are not carnal,for we know that devil is behind all d attacks against d Christians. God is about to arise,and who can RESIST HIS anger,as HE reigns it against d ENEMIES and ADVERSARIES of HIS true Children. D HAMMER OF GOD wl soon fall,and HIS FIRE wl soon burn from Heaven. Let d wise heed this warning and repent. Don’t say I didn’t tell U.